The gate opener is a small device, but it does a pretty big job. When operating efficiently, it automatically opens and closes the gate at the push of a button. On occasion, these units break down. When they do, we offer exceptional gate opener repair in Baytown, TX. These items are produced from a variety of manufacturers. We service all brands. Our techs are certified to repair and install all opener makes and models. Get the professional service you deserve. 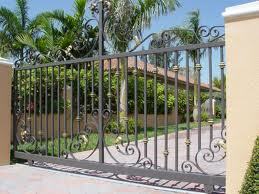 Call us for gate service today. At Garage Door Repair Baytown, we have worked hard to earn the respect of our community. We are prompt, reliable, and guarantee quality results. Our experienced specialists are highly skilled with all types of openers. We know exactly what problems to look for. The information you provide us over the phone will give us a basic idea of where to start. Sometimes the problem is obvious; other times it requires extensive troubleshooting. There is one thing for certain. You can count on our pros to administer the best gate opener service possible. Our experts provide gate opener installation quickly and as per the manufacturer’s requirements. We believe it is vital to do the job right the first time. Our techs are trained to provide a precise install to eliminate unnecessary return visits. We can install your opener with all the options you prefer. You can count on us to do the job right. Don’t you hate it when a service provider comes out and does not have all the parts they need to do the job right? They end up going back to the office, which wastes your time. We bring the parts we need the first time. We offer expedited gate opener repair service. Our techs will respond with urgency to fix any issue with your device. We don’t make you wait and our service is great! Our techs are honest and helpful. We want what is best for you. Let our pros provide your electric gate opener service needs. Our results are guaranteed to satisfy. Choose us for Baytown gate opener repair today. We promise you will be happy you did.